Like many young immigrant couples, Sukhee Kang and his wife Joanne started a family after settling into their new life in America and Orange County, after immigrating from South Korea in 1977. Through their hard work and smart investments, they also demonstrated their success as entrepreneurs, and in the world of business. Sukhee then turned his attention to community and public service. The Los Angeles riots in 1992 caused massive damage in the Korean community, and demonstrated that despite its size, the community was sorely lacking in political clout – or even visibility.Like many young immigrant couples, Sukhee Kang and his wife Joanne started a family after settling into their new life in America and Orange County, after immigrating from South Korea in 1977. Through their hard work and smart investments, they also demonstrated their success as entrepreneurs, and in the world of business. Kang became a Board Member of the Korean American Scholarship Foundation, a nationwide non-profit that awarded scholarships to talented students. He also founded the U.S. Korean American Democratic Council, an organization whose focus was encouraging political involvement by Korean Americans. In late 1999, the Council merged with the Korean American Democratic Committee, with Kang as President, and the new organization had a major presence at the 2000 Democratic National Convention held in Los Angeles. 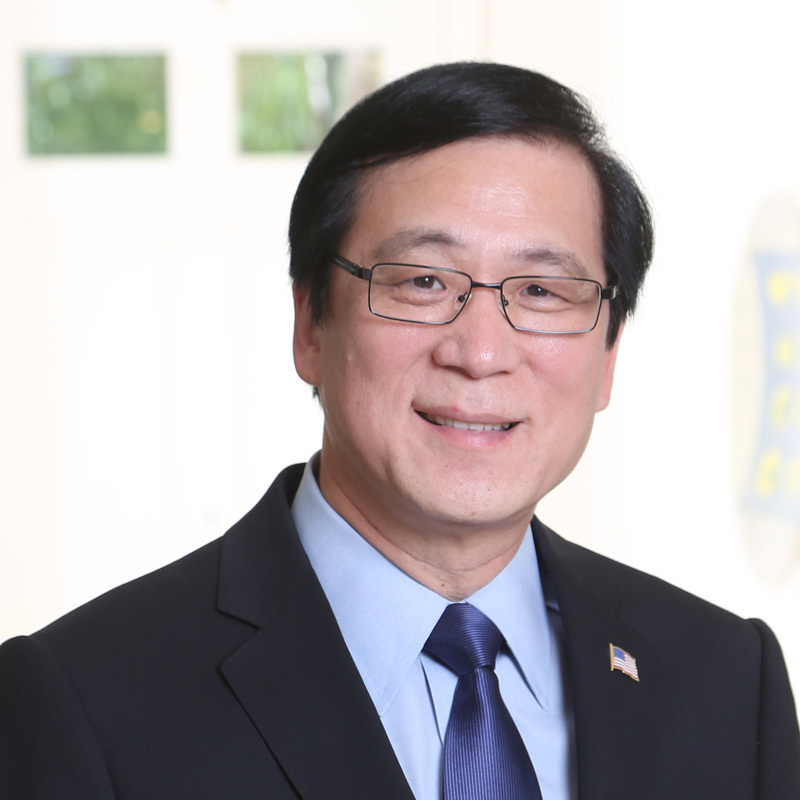 Kang also has served as Chairman of the Korean American Coalition of Orange County. In 2000, Kang was honored to be appointed by Gov. Gray Davis to the California Workforce Investment Board, the body that is charged with helping state government perform the duties and responsibilities required by the federal Workforce Investment Act of 1998. By 2004, Sukhee was ready to try his hand at running for public office, and was elected to the Irvine City Council after a door-to-door campaign in which he knocked on 20,000 doors. After being reelected to the Council in 2006, in 2008 he became the first-ever Korean American mayor of a U.S. city larger than 100,000. In 2010, Kang was overwhelmingly reelected with 64.1 percent of the votes. One of his proudest achievements was leading the effort to preserve $121 million for transportation improvements. Kang’s public career also encompasses serving as a member of the: Board of Directors of the State Water Quality Control Board (Santa Ana Region); Board of Directors of the Orange County Fire Authority; Board of Directors of the Orange County Sanitation District; Board of Directors of the Transportation Corridor Agencies; and Orange County’s representative on the RHNA (Regional Housing Needs Assessment) Committee at the Southern California Council of Governments. Since then, Kang has been Special Advisor to the Chancellor of UC Irvine, and also an Adjunct Professor and a Chancellor Fellow at Chapman University. Kang is also a veteran, having served in the South Korean Army, honorably discharged in 1975 with the rank of sergeant. He serves on the U.S. Army Los Angeles Division Advisory Board. In his distinguished public service career, Sukhee Kang has won numerous awards for his outstanding leadership and accomplishments. These include the Harry S. Truman Award from the Orange County Democratic Party, the Irvine Chamber of Commerce’s “Business Leader of the Year” award, the International Leadership Foundation’s “Public Servant of the Year Award,” Green Globe Film’s Environmental Leadership Award, and O.C. Metro’s Hot 25 Platinum Civil Leader Award.